Thank you for visiting my Adidas coupon code page. To kick things off on the right foot, I wanted first to mention that Adidas is a brand that I love and it’s one that I’ve never been afraid to spend my hard earned money on. In fact, my personal experience tells me that Adidas has some of the best golf apparel on the planet today. It’s well-made and so comfortable. I love wearing their clothing line just about everywhere I go, even during workouts and while I’m enjoying my leisure time. For all the reasons mentioned above, I take my Taylormade Adidas Golf apparel shopping to the next level as you are about to see. I buy their clothes for my friends, family members, coworkers and my golfing buddies on their birthdays, holidays, anniversaries, and other special events. I’ve never received one complaint about my choice of standing behind the Adidas brand. But I have received plenty of compliments throughout the years. My people tend to love Adidas golf apparel just as much as I do. Before diving deeper into the reviews, just know that I always have your best interest at heart as far as saving money is concerned. I’ve got your back! Please use the Adidas coupon codes that I’ve shared with you below. 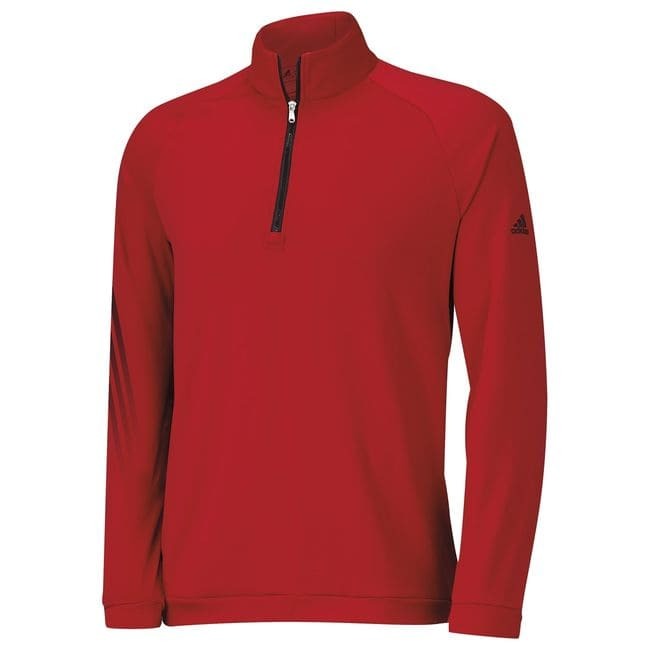 You’ll save a bundle while enjoying incredible savings on discount Adidas golf apparel when you make a purchase or two from their official website. I’m going to share reviews of my Adidas favorites today. I’m rocking the men’s apparel on a daily basis. My wife and son wear the women’s and youth clothes respectively, plus we’re all huge fans of Adidas footwear when out on the links. I also want to specifically talk about the Tour360 Boost golf shoes. So strap in and get comfortable. Relax and grab a cup of coffee. This review is going to take a little while, but it’s worth it to pay attention. Note: Since I frequently buy new apparel using the Adidas coupon code because I wear these clothes all the time, I want you to know that this page is going to receive regular updates as I buy, wear, and review my latest purchases. So don’t think that this is a one-time visit and then you’re done. Keep coming back to read my latest reviews. Hopefully, they’ll give you ideas for Christmas gifts, anniversary gifts, birthdays, and your personal wardrobe. If I haven’t personally worn it, you can bet that one of my friends or family members have. To make this easier on everyone – myself included – I decided to add sections for items under each category. This should make it easier for me to place the review in the right place and it also makes it easier for you to find the types of reviews you’re looking for. Sound good? As you can see, I’m really into Adidas’s “Clima” gear at the moment. This patented technology is amazing and I’ll tell you a lot more about it as I review some of the products that I just mentioned above. Every once in a while, I’ll try my hardest to post photos of some of the stuff that I bought. That way you’ll be able to see some of my favorite Adidas clothing in living color. What can I say about this great pullover? I like to wear this at the end of the summer when the weather starts to cool down. And it’s perfect for the fall when the chill in the air starts to hang around every day. You can wear this pullover just about anywhere. It’s ideal for the office, the first tee or when you’re hanging with the guys at the 19th hole. This 3 striped sweatshirt is perfect for those looking for additional flexibility. You can easily make a full turn with your swing as you shoot for the pin. It’s also available in wide variety of colors. You can choose from bright blue/white, lucky blue/white, mid-grey/black, midnight indigo/mid grey, navy/white, power red/black, viridian/bold aqua, vista grey/high res red, and white/black. The sizes range from small, XL, 2XL and 3XL. This classic pair of pants is an excellent option because it’s stylish, very comfortable, and it is available in a wide array of colors. When they designed this pant, they did so using Puremotion Stretch fabric and a flat front construction. 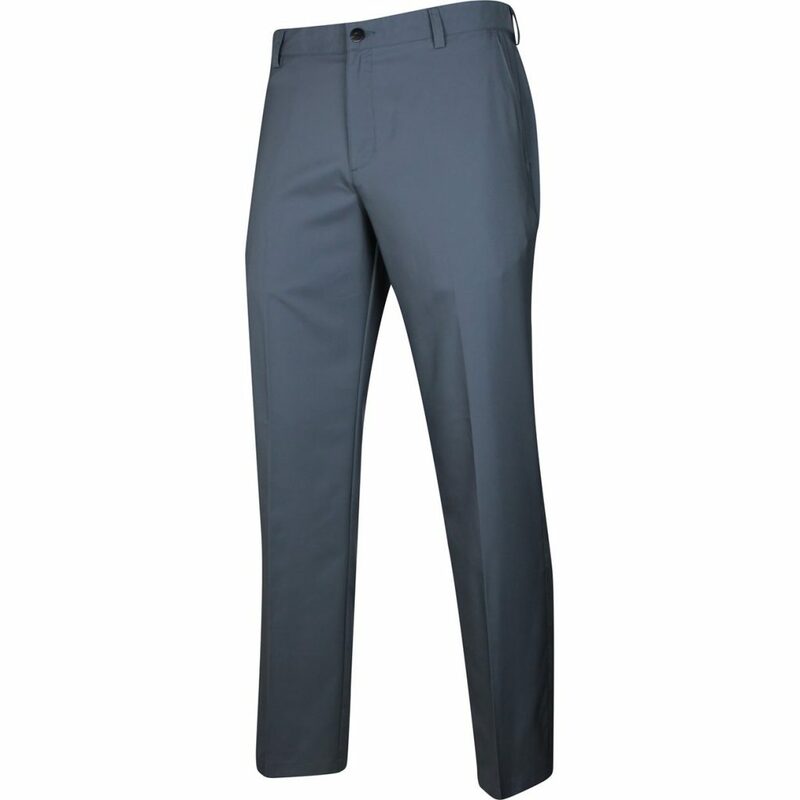 Strictly from a pure golfing perspective, this breathable, lightweight pair of pants is excellent because it stretches while crouching, so you can easily bend down to see the perfect angle of your shot while putting. This pair of pants is personally one of my all-time favorites for of a number of different reasons. For starters, their sizes match exactly what I expected. Sometimes when I buy a pair of pants in my size, they are either too big or too small, but in this case, they fit just right. Not only is this perfect for warm weather, it’s even great to wear them in colder weather, although I wouldn’t recommend wearing them when it’s freezing out. The available color options include Black/Vista Grey, Bright Blue/White, Ecru/Ecru, Khaki/Khaki, Mid Grey/Vista Grey, Navy/Navy, Smoke Blue/Black, Vista Grey/White, White/Black, EQT Blue/White, Mineral Blue/Stone, and EQT Green/Vista Grey. As far as sizes are concerned, the available options include 35 x 32, 38 x 30, 38 x 32, and 40 x 32. Whenever I wear polo out on the links or when I’m going into the office, I always like to stick with my Performance Polo. I love the Climacool option because it’s very comfortable to wear on those hot summer days. Plus, the shirt looks great, and I receive compliments all the time whenever I wear it. As a matter of fact, the ladies seem to really like this shirt a lot because they complement me more than anyone else. More important than anything else, I like the shirt a lot because it’s incredibly comfortable to wear while out golfing. When you’re going to be out on the golf course for 18 holes, comfort is a serious issue that needs to be treated as such. So you have to wear clothes that are comfortable, and the Climacool Performance Polo is one of my favorite shirts to wear because it fits so well, it looks nice, and I feel relaxed and at ease whenever I have it on. There is a total of 16 colors to choose from. The colors are as follows: vista grey/black, black/vista grey, white/EQT blue, EQT blue/white, white/mineral blue, shock red/mineral blue, EQT Green, mineral blue/EQT pink, black/stone, forest/utility green, ray blue, ray red/black, stone/utility green, white/black, and white/mineral blue/flash pink. This polo shirt is available in small, medium, large, XL, and 2XL. If you’re anything like me, you often have a major dilemma once it starts getting really hot outside. You love to go golfing, and you can’t wait to visit your favorite course early in the morning as the sun begins to rise and start a new day. At the same time, in the middle of summer, it’s often way too hot to truly enjoy playing golf the way that you would like to. 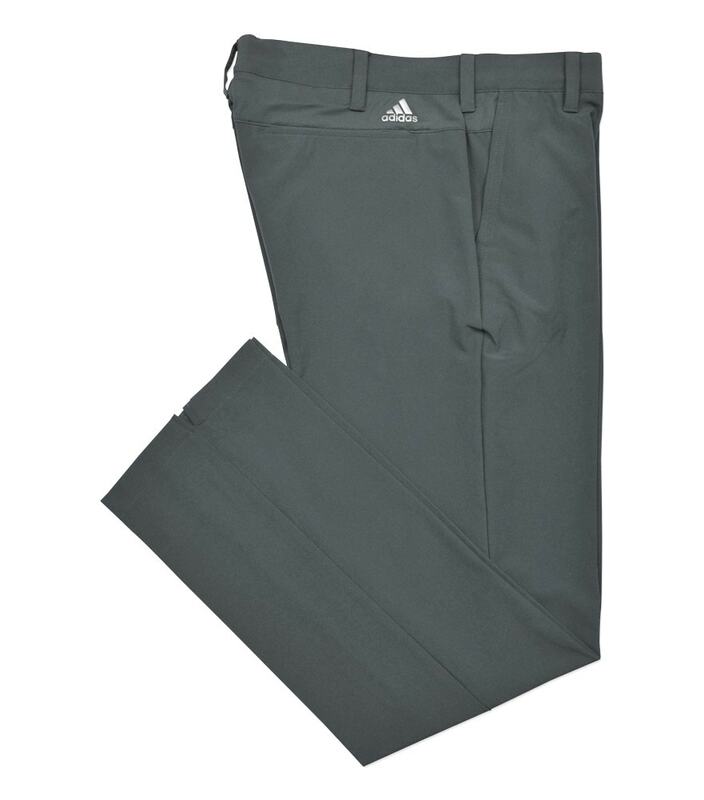 The great thing about the Ultimate Airflow pants from Adidas is that your mobility and comfort are preserved even when it’s incredibly hot and sweaty outside. This patented technology utilizes climacool mesh and micro mesh pocket bags. This provides greater airflow, ventilation, and it even helps to increase breathability. Your performance is never going to suffer even on the hottest days when you are wearing these outstanding, breathable pants. More than anything else please know that these pants are really cool and comfortable, and this is especially true on the hottest summer days. They are flexible, breathable, and extremely comfy to wear. If you live in an area with a hot climate – Texas immediately springs to mind – you’re going to love this choice because it’s the lighter, cooler option when compared to Dockers or other types of casual pants. The available colors include black/vista grey, vista grey/black, shock blue/EQT blue, stone/vista grey, and mineral blue/stone. They offer a wide variety of available sizes including 30 x 30, 30 x 32, 32 x 30, 32 x 32, 32 x 34, 33 x 34, 34 x 30, 34 x 32, 34 x 34, 35 x 30, 35 x 34, 36 x 30, 36 x 32, 36 x 34, 38 x 30, 38 x 32, 40 x 30, 40 x 32, 42 x 30, and 42 x 32. As the temperatures begin to rise, many of your favorite golfing buddies will not be able to take the heat, and you’ll come to see that they just aren’t as serious about golf as you. 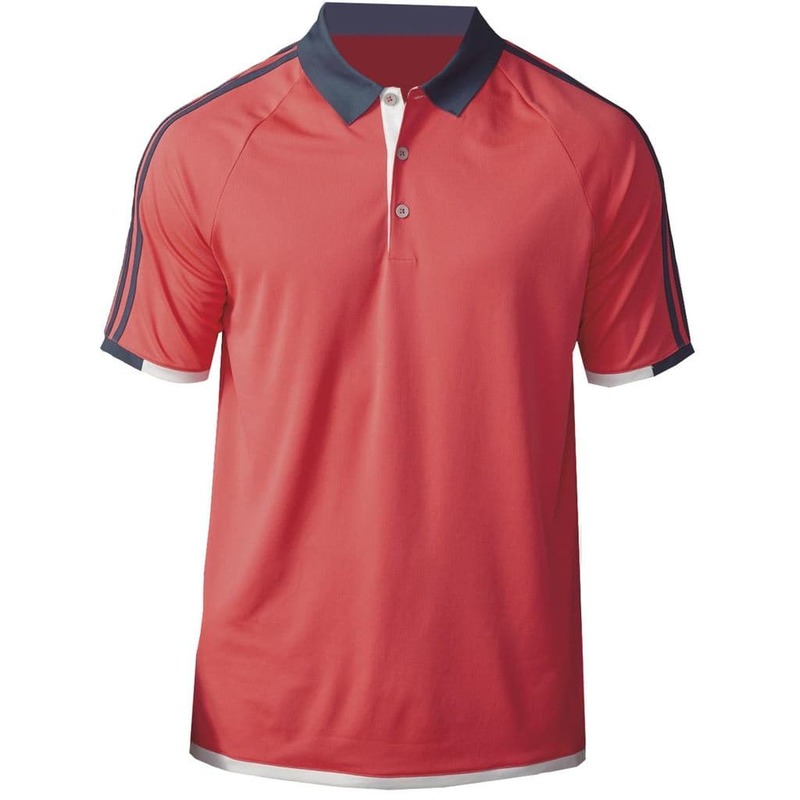 But you can keep playing in style and comfort when you choose a Climachill 3 Stripes Competition Polo. I personally love this shirt because of the fabric. It provides 360° of ventilation, and it is made up of titanium cooling fibers and flat yarns. These two combine to provide amazing comfort and cooling technology that you’ll appreciate even when the sweltering weather is at its hottest. It’s honestly amazing to wear this shirt and experience all the benefits of this patented technology. You can feel cool on the hottest of hot days and comfortable without having to worry about heat building up throughout your body. Plus, you have to love the aluminum dots. They soak up the heat like it’s nobody’s business! You’ll feel cool, calm, and collected the next time you’re out on the golf course in the sweltering heat. The competition Polo is available in 10 different colors. I recommend checking out the website to look at all of the wonderful available color schemes. And as far as sizes go, there are five different sizes to choose from including small, medium, large, XL, and 2XL. So as long as you’ve managed to stay relatively fit and in good shape, you’ll have no problem fitting in any one of these standard sizes. The ladies also seem to enjoy Adidas’s excellent climate controlled apparel. My wife certainly thinks that this sleeveless polo is worth every penny to wear on the hot summer days and cool summer nights. For starters, please know that these shirts are beautiful. You can wear them every day out on the golf course, or you can even wear them in an office environment or in a casual setting if you prefer. They are thin, to say the least, which is great because it’s hot during the summer and you do not want to wear something too thick. Although, they do feel like they’re made of cotton, but fit like you’re wearing polyester. There also quite breathable for the hot summer days and very comfortable to wear. My wife used to wear Nike polos at one time, but Adidas’s sleeveless polos are more comfortable and honestly they are better looking as well, so she made the switch and never regretted it. The Climalite Heather Sleeveless Polo is available in 20 different colors. 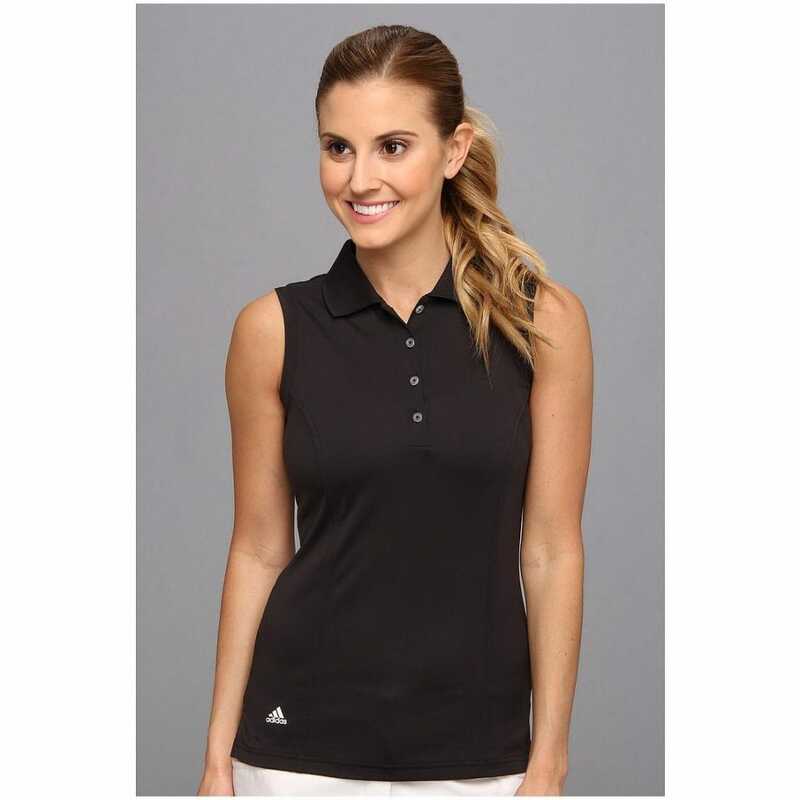 To find out the perfect size, please take a look at the Adidas golf apparel size chart and remember to take advantage of discount Adidas golf apparel coupon codes. 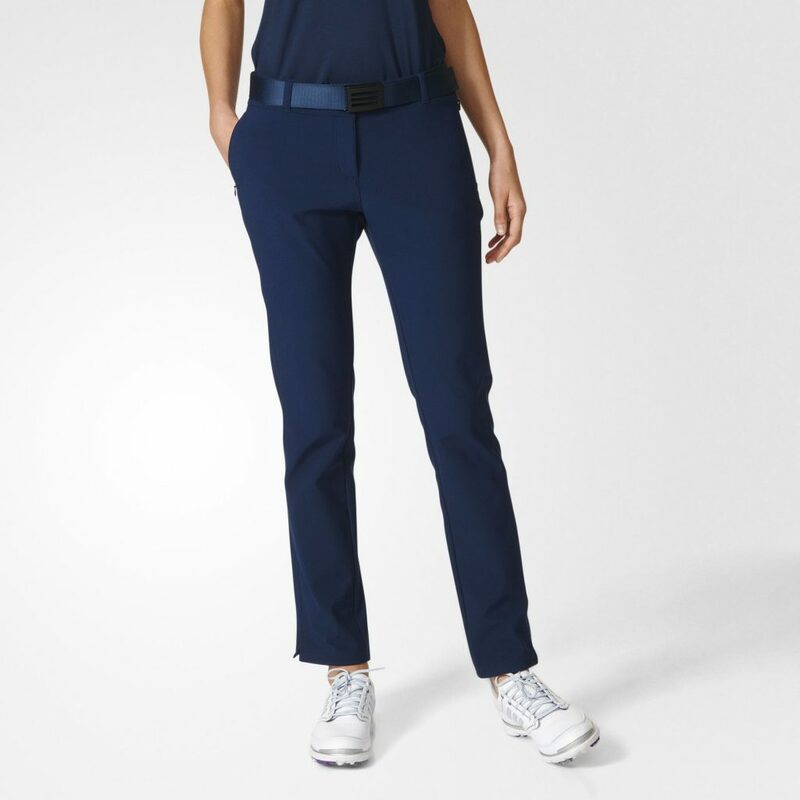 Women can never go wrong wearing Adidas women’s golf apparel. If you truly like Taylormade Adidas Golf apparel, then you’re going to like this incredibly comfortable Climastorm Fall Weight Pant. For starters, it’s so comfortable to wear during the fall once the weather starts to get a little bit cooler. Plus, it has the trusted Adidas brand logo on it which certainly proves that it’s made by a company that is very good at creating top quality golfing apparel. This pair of women’s pants is only available in two different colors. At this time, you can only buy it in black or collegiate/navy. 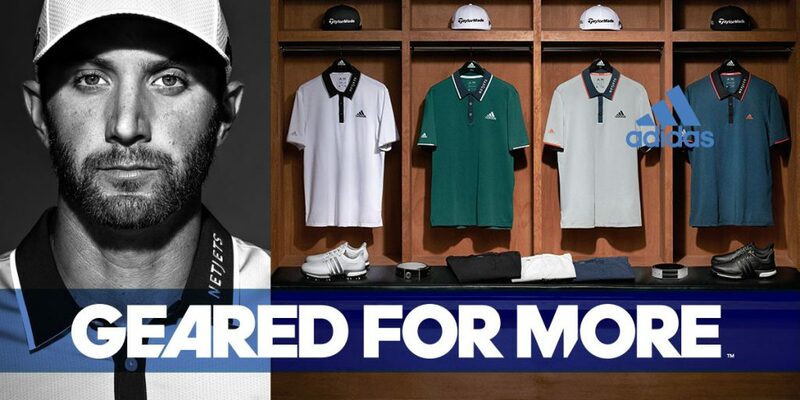 Take a look at the Adidas golf apparel size chart to find out the perfect size for you. According to the website, these pants are available in a women’s 2 – 14. This skort is perfect for women looking for something that is comfortable and also quite stylish. This is an exceptional option because it looks good, feels good, and it was designed with added comfort in mind. At the end of the day, the ladies will certainly appreciate this lightweight, comfortable skort while out on the course. At this time, it is currently available in six different colors that you can find out more about by visiting Adidas’s website. And the skort’s sizes include small, medium, large, and XL. Adidas has created an incredible lineup of amazing footwear that’s perfect for male, female, younger and older golfers alike. You’ll absolutely fall head over heels in love with some of the amazing options they currently have available. 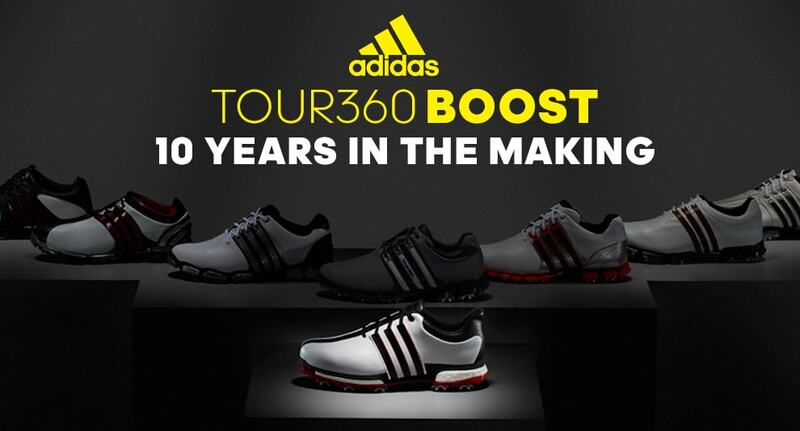 As an avid golfer, I can honestly tell you that I am a huge fan of the Tour360 Boost golf shoes. And my wife is particularly fond of the women’s Climacool II. So we’ll take a closer look at both of these options in greater detail right now. This fantastic golf shoe is truly ahead of its time. And to make it even better, after celebrating the 10th anniversary, they decided to add the unbelievably comfortable Boost technology into the mix to make this shoe even better than it already was. I think this is Adidas’s best golf shoe because it utilizes climaproof technology which provides a rich look. It’s also comfortable, soft, durable, and the protection is long-lasting. Whenever I wear this shoe on the golf course, I know that I’m going to put up an excellent performance that day. Plus I’m going to love the way that I look and feel wearing this shoe because it’s comfortable, and it has superior cushioning when compared to many other options. It also is made of a flexible material which provides additional control and flexibility between the forefoot and heel. All in all, the powerful technology utilized in this shoe makes my golf game that much better. In fact, I’ve even shaved off a couple of strokes since I started wearing these shoes a few years ago. It’s currently available in 10 different colors. They have both regular and wide options, and it’s commonly available in all popular men’s shoe sizes. Experience comfort on your feet like you’ve never felt it before. The Climacool II shoes for women from Adidas have everything that you’ve ever wanted in a comfortable golf shoe. They help you keep cool and maintain the feeling of coolness all throughout the day during the hot summer months. This golf shoe is modern, stylish, and made of ultralight athletic material. It also provides breathability and long-lasting abrasion resistance. Plus, it is a very versatile shoe, to say the least. If you plan to buy this shoe, we recommend taking advantage of the Adidas coupon code. If you use the code that we’ve shared with you today, you will be able to get this shoe at a discount. They currently offer two different colors, and it’s available in all normal women’s shoe sizes. Although this was a long review, the truth is I’ve barely scratched the surface of all of the amazing Adidas golf apparel products currently available on their website. I recommend visiting the site and taking a look at all of the awe-inspiring options. You’ll find discount Adidas golf apparel, Adidas Tour360 Boost golf shoes, Adidas women’s golf apparel, and if you use an Adidas coupon code, you’ll get everything for a low, low price. Take advantage of this incredible opportunity today.